A precipice haunted by a figure without a shadow; a young man whose obsession with a beautiful girl leads him to an alarming discovery; a dragon legend which turns out to be not entirely legendary; an extraordinary tropical plant which turns out to need rather more than water and sunshine for nourishment. All these twenty tales of the extraordinary, never before published, contain subtle twists in the tail, which will have the reader on the edge of his chair. 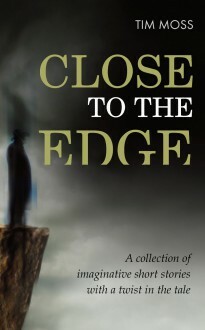 Close to the Edge is a collection of finely-crafted tales in the tradition of Roald Dahl, Edgar Allan Poe, H G Wells and M R James. If you like short stories, read on.